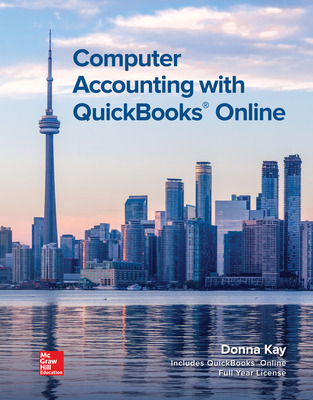 -Full course solution: Computer Accounting with QuickBooks Online includes 1 year access to QuickBooks Online software. -3 step-approach: Computer Accounting with QuickBooks Online uses a 3 step approach to simplify and streamline learning QuickBooks. -Connect: A highly reliable, easy-to-use homework and learning management solution that embeds learning science and award-winning adaptive tools to improve student results.